I’ll be honest: The Forbidden Journey ride at the Harry Potter exhibit inside Universal’s Islands of Adventure had me swallowing spit afterward. Turns out, riding a broomstick isn’t as much fun as I thought. 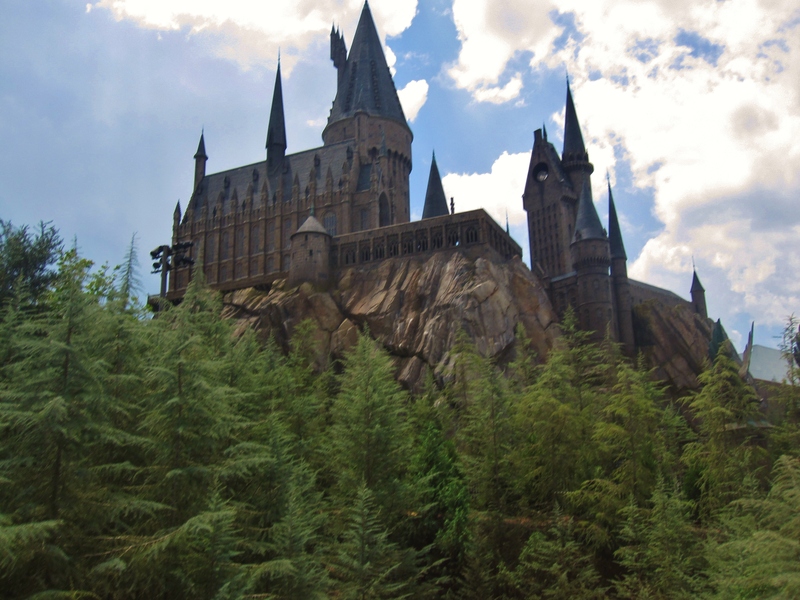 I walked through the recreation of Hogwarts, taking deep breaths through my nose and pushing my tongue into my bottom teeth, wondering when my glands would stop filling my mouth. 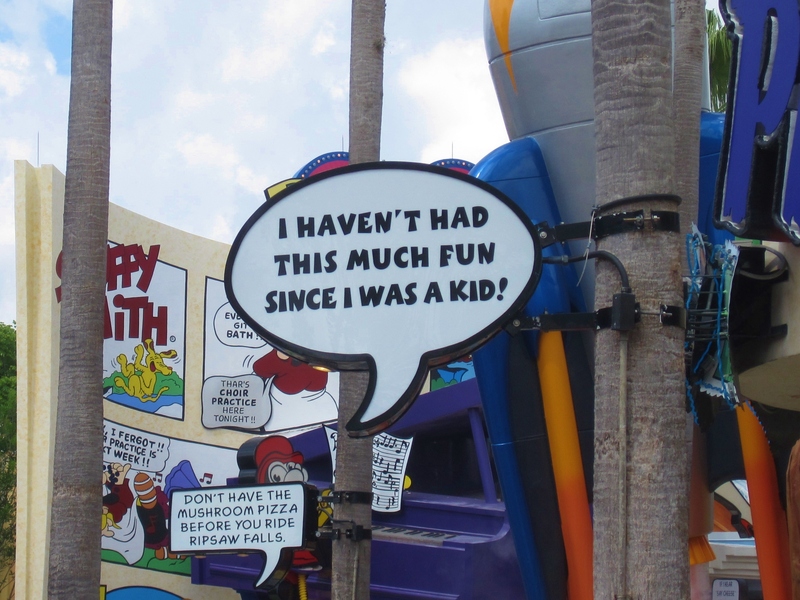 We all know that feeling – whether it’s one too many shots of tequila or a bout of carsickness – and I had to concentrate awfully hard to avoid disaster (you never want to have to stick your head into a trash can at an amusement park). Long story short, I survived without incident, but I was definitely rattled a bit. Although I’m typically pretty good with motion, the combination of sudden side-to-side jerks, limited forward vision, and fast-paced animation seemed to be my kyrptonite that day. No worries – we all have bad days – and fans of Harry Potter will enjoy the recreation of Hogwarts and pretending to participate in a game of Quidditch. Next time, I’ll skip the ride and stick to butterbeer. Earlier in the day we rode Hulk, Spiderman, and three different water rides: Jurassic Park, Ripsaw Falls, and the white-water rapids (on which everyone got completely soaked, see photo to the left). My friends (who are residents) taught me a helpful trick when it comes to reducing the time you spend standing around in line: Take advantage of the “solo rider” line. 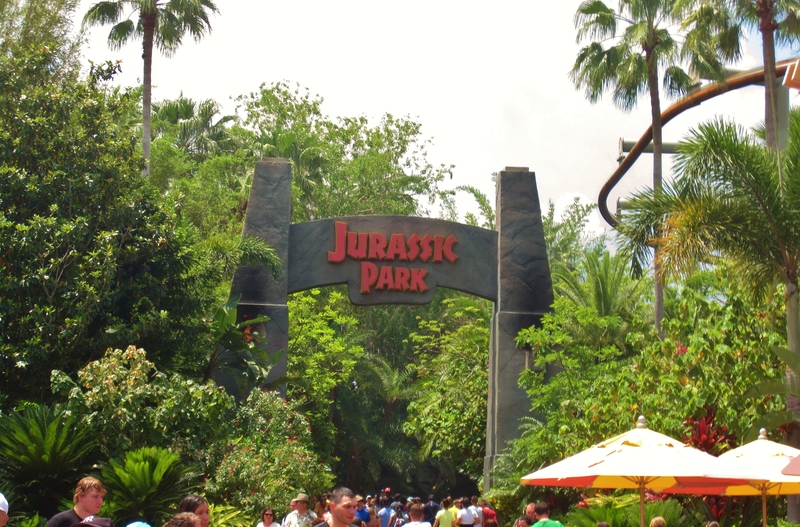 You go to the park as a group, but similar to seeing a movie, the attraction itself is an individual experience. You chat it up and share your thoughts when it’s done, but does it really matter who is sitting next to you as it’s happening? I’m not talking about saving five minutes – going solo saved us twenty minutes on the Hulk and about thirty on Spiderman and Harry Potter. Just something to consider as that’s significant time, and fast passes are not free at Universal Studios/Islands of Adventure (but they are at Disney… info to come). The infamous Jaws attraction was closed in January, ending it’s two-decade run. My guess is that most kids today have no idea about the classic thriller – and their parents aren’t about to introduce them to the summertime anxiety we all went through. Had I more time I would have definitely auditioned for the live Fear Factor show, a competition right there on site. You can audition seventy minutes prior for a chance to play with some creepy crawlers. 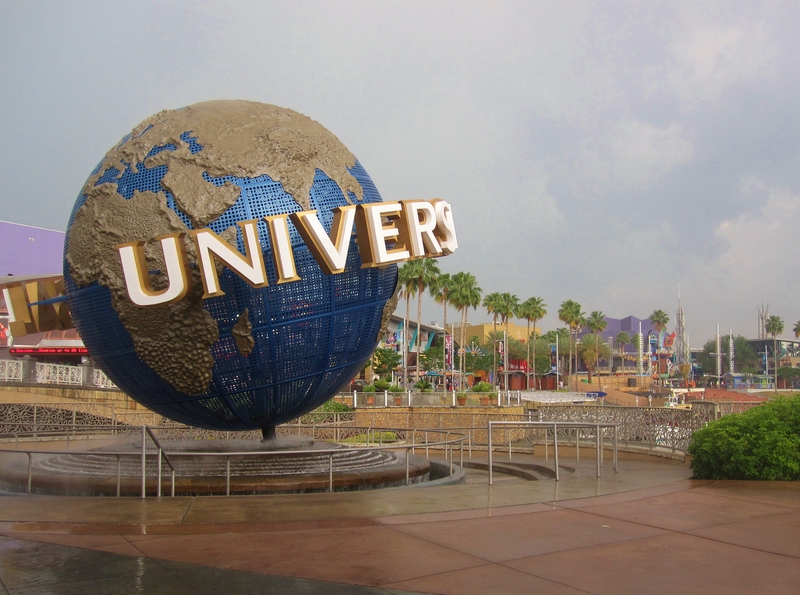 As Epcot does with the countries (story to come), Universal breaks down into different sections of the United States: Hollywood, San Francisco, and New York. Pay attention as you walk through the park. Some of the people who approach you will offer a chance to sit in on a live taping (one such opportunity was even paid). Who among us can say they’ve been paid to watch a television show?